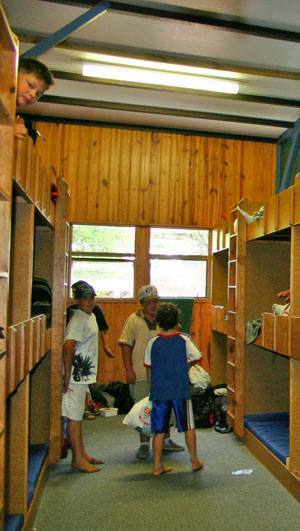 Many schools have enjoyed using our Convention Centre as a base for their school camps. The waterfront and the many great activities in the area make it a perfect place for school children’s development programmes. “Your Convention Centre was again perfect for our needs and the facility was up to its usual high standard. The personal service you provided us was excellent. Your friendliness and willingness to please was appreciated immensely and certainly added to the overall positiveness of our stay.” – T. Bennis, Guidance Counsellor, Hauraki Plains College. “Our college group comprising of up to 50 students find the facilities at The Glade Holiday Park ideal for our needs. We have used it for the past twelve years. The sleeping quarters, ablution blocks, kitchen and dining hall are of high standard and the venue has close access to the waterfront and other services. The grounds are well maintained and very safe. The hosts are always available when required and go out of their way to make sure your stay is comfortable.” – Chris Bean, HOD Social Sciences Department, Wesley College.